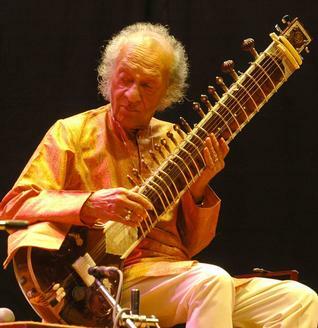 Pandit Ravi Shankar (1920 - 2012) was a man of many words. And much music. As a commoner who has read, seen and heard about the sitar maestro from afar, I've marveled at how talented the man was. His death this past week is a loss that India will mourn for years to come. Leaving behind two exceptionally talented daughters, Ravi Shankar belonged to that generation when lyrics were smooth and music was soothing. His death truly is a void that I hope we can fill. May his soul rest in peace and may his family find the courage and peace that they need at this moment.